What Should Be Considered Recipe Plagiarism? As I become more entrenched in the food world, certain issues have come to light that I would like to talk about with you. Recently, there was an article published on the Huffington Post regarding the Food Network’s decision to fire Anna Thorton, host of Dessert First, due to alleged recipe plagiarism. The Food Network discovered that Anna had been heavily referencing other network stars recipes, most notably Martha Stewart and the Barefoot Contessa. Changing measurements marginally and leaving the instructional literature eerily similar. Recipe Copyright is dicey though, the Food Blog Alliance discusses Recipe Attribution briefly, but the fact of the matter is, recipes are kinda hard to copyright, in my opinion at least. 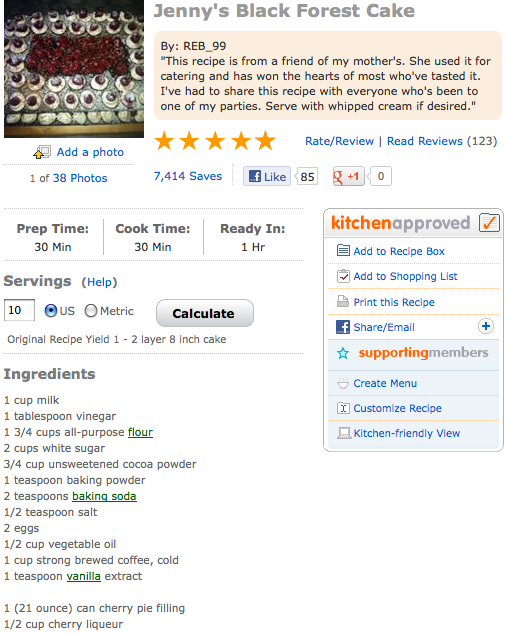 “Copyright law does not protect recipes that are mere listings of ingredients. Nor does it protect other mere listings of ingredients such as those found in formulas, compounds, or prescriptions. Copyright protection may, however, extend to substantial literary expression—a description, explanation, or illustration, for example—that accompanies a recipe or formula or to a combination of recipes, as in a cookbook. In an age where so many recipes are circulating on the Internet and you can pretty much copy-paste anything, how do you prevent copyright from happening? Or even just encourage proper attribution through hyper-links, ect. David Lebovitz writes on the Food Blog Alliance some general rules about responsibly using other recipes, that I try to follow and would encourage others to do the same. 3. If you change three ingredients, you can in most instances call the recipe yours. There are certain things that all recipes of similar nature must require – most cakes require flour, sugar, butter, eggs; mashed potatoes call for potatoes, butter, milk, salt; mac and cheese always include some sort of pasta, cheese, and milk. So where is the line drawn? 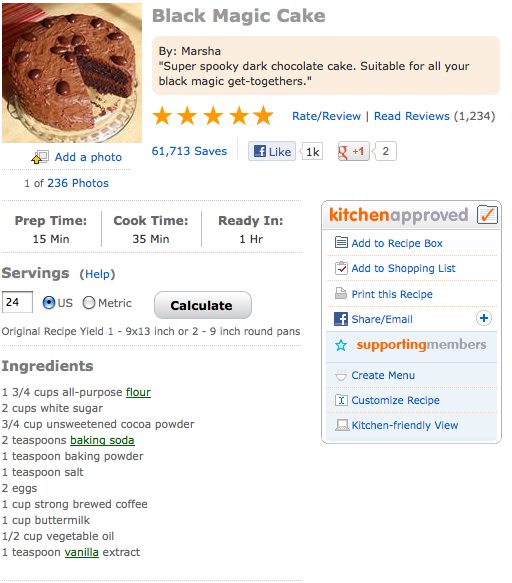 Can a chef call copyright infringement every time someone uses a recipe for pie crust that is similar to their own? Is this a case of copyright infringement? There are 3 ingredients added to the second recipe, is that enough of a change? Oh, and the substitution of buttermilk for milk. But is that enough? According to Lebovitz’s 3rd Rule, technically, there is enough of a change to be considered their own…but they are still SO similar. At least the directions are pretty different. See what I mean? I think it’s such a grey area. As a foodie and journalist, I am all about proper attribution and giving credit where credit is due. I am beyond offended when people try to steal work that isn’t their own, I just don’t know when to feel offended when it comes to similar recipes. What do you all think? Do you agree with David Lebovitz’s 3 general rules? Do you believe it should be more specific or more lenient? This entry was posted in Uncategorized and tagged attribution, barefood contessa, chocolate cake, David Lebovitz, food blog alliance, food network, huffington post, law, martha stewart, opinion, plagiarism, recipe, rules, U.S. Copyright Law by kristinakerley. Bookmark the permalink.